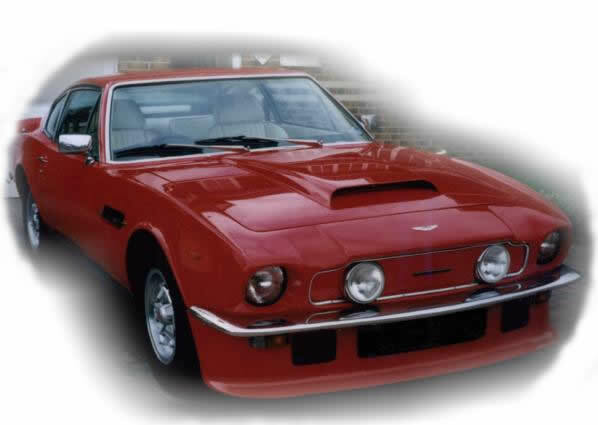 I am the proud owner of this 1974 Series III Aston Martin V8. Even though she guzzles her way through the Earth’s fossil fuels as if they’re going out of fashion, screams ostentatiously at anyone who goes near her, and is big enough to fill an average bus lane, her brashness is the Aston’s greatest asset. The reason for owning an Aston Martin is simple – pure, unadulterated self-indulgence. If you’ve got it, flaunt it! Launched in 1972 as an evolution of the DBS, the V8 immediately found favour with Prince Charles, and, with his approval, it charmed wealthy buyers across the world. The V8 was then the mainstay of the Aston Martin range until the Virage appeared in the early Nineties, and while the V8 is in essence almost 30 years old, it still looks relatively fresh today. This site is aimed towards providing information and guidance for the Aston Martin owner and enthusiast, who likes to dabble with a bit of "hands on" experience. With this in mind, I would like any articles or stories etc, which you would feel will benefit this site, and in turn other Aston Martin owners. All material published on this site is reserved and may only reproduced with permission from www.astondriver.co.uk.